“Morgan’s deep resonating voice and true-to-the-roots guitar work make a great combination. Anyone who appreciates straight-up blues delivered with taut, tough intensity and a good dose of humour will love Morgan Davis.” – James Doran, Ottawa Blues Society. This Detroit-born, Nova Scotia-residing artist has played the blues throughout Canada, the States, and Europe for almost four decades. 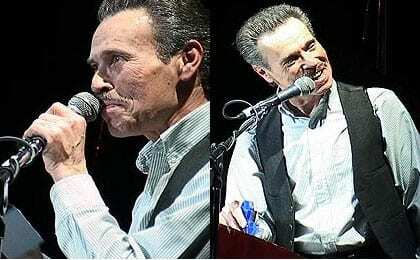 His album Painkiller won the 2004 JUNO for “Blues Album of the Year” plus four Maple Blues Awards. In 2007 he released At Home in Nova Scotia – his public love letter to his adopted province. The Coast reports the album “is Bluenose to the core”. We love the blues at Deep Roots when they’re served up by Morgan Davis! Gamelan: An Indonesian orchestra composed mainly of tuned bronze percussion instruments, including gongs, metallophones and gong-chimes. Acadia Gamelan Ensemble: A group of Acadia Music Students, led by Ken Shorley, who perform traditional Sundanese music, on the instruments of Gamelan Puspa Galih (Mindful Flower), a Sundanese gamelan degung forged by Pak Tentrem (Java). 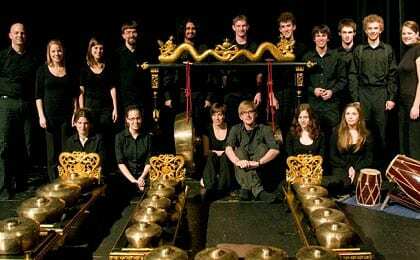 In addition to their traditional repertoire, the ensemble premiered an exciting new work for gamelan and 6-voice choir by Nova Scotia composer Peter Togni in January 2010. 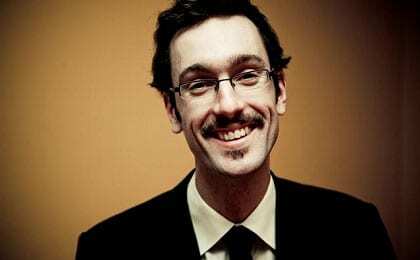 Ken Shorley: has been completely entranced by the sounds, rhythms and textures of Indonesian Gamelan. In 2007, he recorded the CD Sekar Alit – a selection of his own compositions for gamelan. In addition to performing with his own ensemble, he performed in 2008 at the Scotia Festival of Music with Toronto’s Evergreen Club Gamelan. Most of the work of this composer, multi-instrumentalist and visual artist is informed by surrealism and improvisation of one kind or another. In the mid 70’s Daniel Heïkalo took part in the post-L’Infonie Montréal avant-garde music scene, co-founding the Ensemble de Musique Improvisée de Montréal. In the 80’s he moved to Nova Scotia. 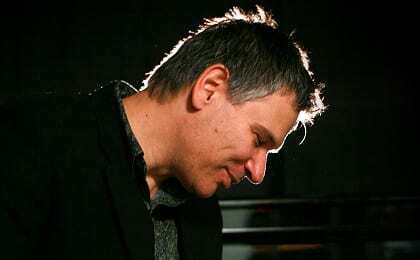 Daniel has recorded several CD’s including, Thoughts of My Father which earned an East Coast Music Award nomination in 1993 and his latest Horton Landing Improvisations Volume 1 with musician Hugh Blackmer. Daniel lives with his wife, Tamara, and they operate a studio and record production company, Heïkalo Sound Productions. Windsor based band Alice Stops Time make their first appearance at the Deep Roots Music Festival. The band has unique influences from surf and dance music that contributes to their trademark sound. That sound and the bands engaging presence have taken the young group of five from intimate acoustic shows in rural Nova Scotia to larger status stages like Pop Montreal. Alice Stops Time is quickly breaking into Metro music circles with high energy performances showcasing their own style of rock, surf, blues and dance. The band appeared at Music for Haiti with an acoustic set earlier this year and proved to be a huge hit with the audience. They will also be appearing as guests at Emerging Artists: UNEARTHED in July and have been invited to play at Riverfest as well as showcasing at Contact East in September. In the meantime Alice Stops Time is working on their live performances and enhancing their song writing craft, discovering new sounds and styles to incorporate into their music. They have been recording some of their latest songs at Codapop Studios and hope to have a new recording to add to their self-titled CD. A gifted musician and songwriter, Thom Swift is able to draw upon a lifetime of experience to offer up lessons on living, loving & laughter. With two solo albums now released, Swift drew on the experience of many years of touring & performing with the veteran jazz-blues band, Hot Toddy. The New Brunswick born/Halifax based performer took a chance with his music and branched out into areas where he hadn’t previously been known. One track off his bold, new album has even been making the rounds of the rock stations (Killer). blue sky day, produced by Charlie Austin (Buck65/Joel Plaskett) is a collection of Swift’s sophisticated playing balanced with the earthy intensity of his lyrics. This passion is further enhanced by the group of friends he chose to play with, including starring roles from DRMF favourites Matt Anderson and J.P. Cormier. The multi-award winner Swift (ECMA, Maple Blues and Galaxie Rising Star awards) has some deep insights to offer from the life he’s led; what he’s seen, what he’s felt and the lessons learned inbetween. With raw emotions and a big sound, Swift reflects on the stories he’s carved out of this life, from leaving home, to battling demons, to finding love & hope & the joys of family. Fiddling singer Lisa McIsaac and guitarist singer Brenley MacEachern are coming to town to both break your heart and lift you up. Described as alt country with a blend of pop folk-rock, their ability to craft a good song and then present it with their exquisite harmonies and lush instrumentation will have you humming their tunes for days to come. Touring to the far corners of the planet opening for performers like Chantal Kreviazuk, Indigo Girls, Ron Sexsmith, The Temptations or Ashley McIsaac, these “road dogs” have fine-tuned their act over their nine years together and created three albums of their ‘haunting lovely and refreshing’ music. Their style has been likened to a blend of Neil Young, Dolly Parton, and Simon & Garfunkel ‘walking through the doors of “O Brother Where Art Thou”’ while hastened by an overture by Alison Krause & Robert Plant. All this is channeled into their own unique sound. Lisa & Brenley’s intelligent & quirky lyrics have a simple poignancy to them, and as the mind fills with vibrant & vivid imagery while they recount tales of broken hearts, life on the road, loneliness and loss, the heart is somehow unburdened of the weight it carries. Madison Violet has a gentle and seductive charm that can easily lure one willingly into dark corners. And you’ll likely leave feeling all the better for it. The Ginn sisters, Tiffany & Brit, are coming to town, so mothers hide your sons! These gals will steal their hearts and leave everyone wanting more. 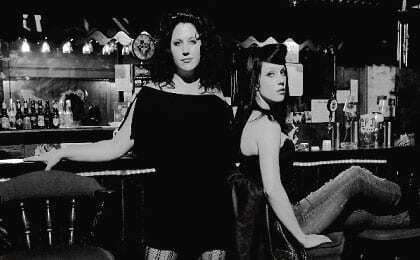 Based out of Austin, Texas, The Fabulous Ginn Sisters’ rough & ready sound stole Fred Eaglesmith’s attention, so he took them to his studio in Port Dover, Ontario, to record their 2010 album, You Can’t Take A Bad Girl Home. Self-described as “a smoky, drunken stumble through a broken-heart junkyard”, the music is laced with buoyant harmonies that ramble around their folksy Americana sound, weaving between pop, rock & country melodies. Having already carved out a place for themselves in the South with their sweet singing, this new offering lurches them toward an eclectic path that’s infused with some good ol’ rock & roll. Songmeister David Myles does it all: smooth jazz, soulful pop, bluesy folk—yet he defies being tied down by these genres. His warm, personable presence combined with emotion-filled melodies and unique instrumentation has enchanted audiences wherever he performs. A native of Fredericton who now works out of Halifax, Myles was voted New Brunswick’s choice for the CBC’s Great Canadian Song Quest. He won the 2009 ECMA Folk Recording Award. And he was a winner in the International Songwriting Competition last year as well, judged by the likes of songwriting legends Tom Waits & Brian Wilson. And on the side, Myles wrote and recorded his 4th album, Turn Time Off, produced in collaboration with DRMF fave Joel Plaskett. 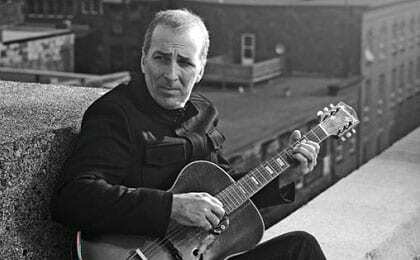 His songs cut to the core of our lives; he speaks of human fallibility, of change, of being alive & in love, yet does so without being maudlin or sentimental. In demand and on the ascent, DRMF audiences are sure to be charmed by Myles and his music. Kim Dunn may best be known as a sideman working with virtually everyone in the East Coast music community for 30 years now. After a brief four-year reprieve studying Jazz at St. FX, he found himself in great demand for his abilities as sideman, producer, writer, and arranger. For all his effort and amazing attitude he was awarded the first East Coast Music ” MUSICIAN SPECIAL ACHEIVEMENT” Award. After playing on countless other CDs, Kim’s first, the self-produced ‘Take This Hammer’, combines a smooth, organic mix of roots/folk with elements of pop, jazz, and blues throughout. The writing is first class all the way, and the cover songs are beautifully arranged; you’ve never heard Blackbird quite like this… But most of all it’s Kim’s singing that comes to the forefront. Kim delivers with a voice that’s soulful, seasoned, and confident. We look forward to having Kim with us at Deep Roots this year. 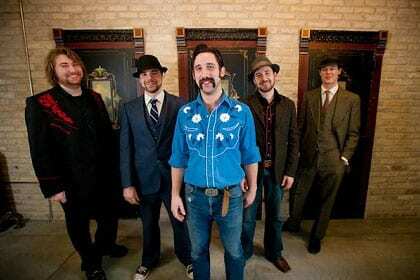 Don’t let their tongue-in-cheek name fool you, rather let their raucous live performance be a testament to their unique blend of country, dixieland, and Manitoba roots music. Since forming in Winnipeg in 2004, The F-Holes have shared the stage with the likes of Juno nominated artists Elliot Brood, Twilight Hotel, Nathan and The Perpetrators, as well as The Weber Brothers and Dan Frechette. They have entertained a wide variety of audiences ranging from the Children’s Fringe Festival and the Festival du Voyageur, to the Manitoba Stampede and the Fire and Water Music Festival. Their unmistakable vintage inspired sound and zeal for live performance has garnered them acclaim from an array of critics and audiences alike.